Thank you for being part of 2018 National Cannabis Festival. This web page contains important information and resources to ensure a smooth festival experience. As always, please feel free to contact us with any questions. Your onsite POC will be the person who greets you, shows you to your booth at load-in on April 20th and 21st. Follow the link below for your complete guide to all things NCF! We know you have a lot of questions, we hope this document gives you a lot of answers. If you still have questions, don't hesitate to reach out to your onsite contact, listed above. NCF is right around the corner! We encourage you to announce your participation using assets in the folder contained here. No individual event pages. We have more than 65 exhibitors and 26 non-profit partners participating at this year's event. If everyone were allowed to create a festival event page, the potential for confusion and misinformation would increase dramatically. To be equal and fair to all, we are asking that no one create a company/organization-specific festival event page, using the festival name, abbreviation or art work. For more questions about NCF guidelines please contact Ru at brandpartners@nationalcannabisfestival.com. National Cannabis Festival is a trademarked entity. Interested parties must seek and receive the expressed written consent from the festival organizers prior to using the organizer or Festival’s name, abbreviation, logo, or artwork on any merchandise, promotions, etc. The festival organizer has absolute discretion over the use of materials in support of the Festival. 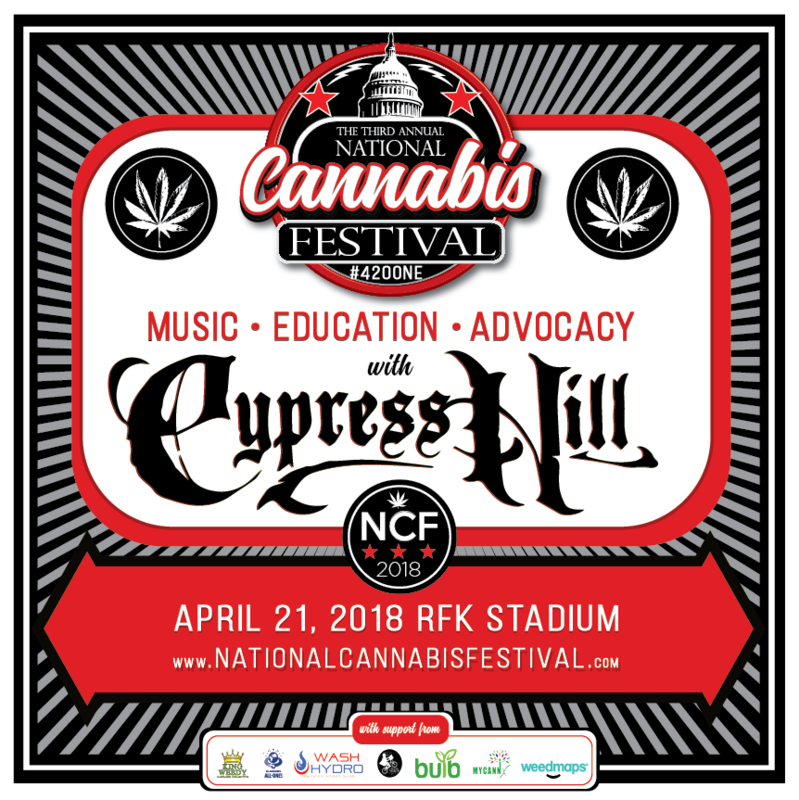 Be aware that all merchandise or products containing the National Cannabis Festival name, logo, or artwork, which have not been approved, will be confiscated by festival security onsite. The National Cannabis Festival artwork CANNOT be altered, but you you are free to use the digital assets that have been shared with you over the last few months and can be accessed here.